Nepal Airlines Corporation (NAC) will be offering huge pay packages to tempt foreign pilots as the growing shortage of cockpit crew is likely to put the corporation at risk of keeping its new planes grounded. The corporation is adding new planes aggressively but there are no cockpit crews to fly them. The corporation may offer a monthly pay package of $18,000 for a foreign captain and $12,000 for co-pilot to fly its newly added wide body Airbus A330 jet, NAC Managing Director Sugat Ratna Kansakar said on Tuesday. The pay package is more than three-fold than what is being offered to its existing flying crew. “It will be a temporary hiring until we produce our own captains,” he said. The NAC recently asked global pilot supplying agencies to supply at least five dozen pilots. 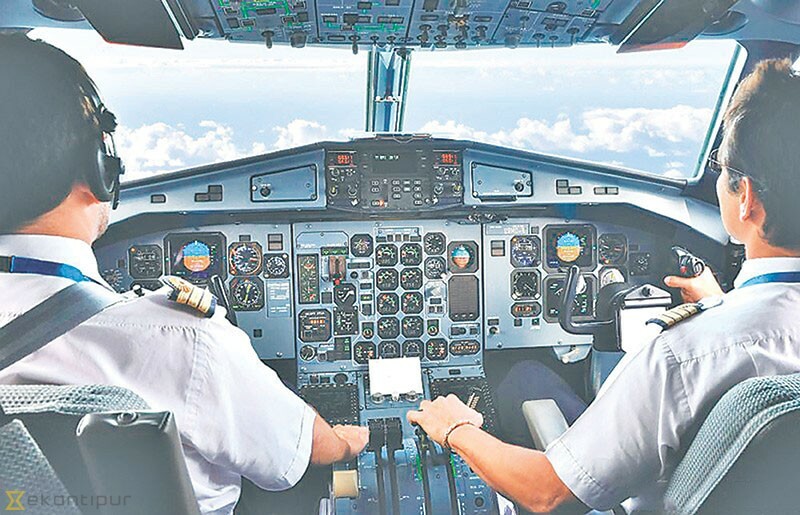 “We don’t have any option as pilots are not available in the domestic market,” he said, adding that Nepali pilots flying planes in foreign countries would also be offered the same pay package. He said that while the NAC currently has 116 pilots, the company is still short 28 pilots. “The deficit may rise as we have planned to add at least 10 planes—two A320neo, six Twin Otter and two medium sized aircraft to serve domestic trunk route sector,” he told a press conference. Currently, NAC is hiring three foreign captains to fly its A320 jets. They are paid $15,000 per month. As the corporation recently received its first Airbus A330 jet and the second one is expected to arrive within three weeks, it will require the corporation to find 12 captains and 12 co-pilots to fly them smoothly. “All these 24 pilots will be hired from foreign countries,” said Kansakar. Meanwhile, the corporation said it would require 8 captains to fly four Chinese-made Y12e planes. Another 21 pilots will be required if the corporation’s plan to procure six Twin Otter planes comes to fruition. The corporation has also unveiled a plan to separate its domestic and international operations. “We have been receiving complaints from all sides that the national flag carrier doesn’t seem interested to fly its domestic aircraft. Hence, we are splitting the operation into two entities that will be managed separately,” said Kansakar. Although NAC has nine aircraft on its domestic fleet, it has not been able to increase its passenger market share. It currently holds around 3 percent of market share in the domestic sector. He said that after adding two A330 jets, NAC will focus on penetrating key tourist generating markets like Japan, Korea, Australia and Europe. Similarly, after adding two A320neo jets by 2019, NAC aims to connect Nepal with key Buddhist countries like Sri Lanka, Vietnam, China, and Myanmar, among others. Meanwhile, after selling one of its two ageing Boeing 757s, the corporation has planned to phase out its second 757 by next year. It has also unveiled a plan to phase out its forty-year-old Twin Otter. “In the next two years, we will have all new planes in our fleet,” said Kansakar, adding that the corporation will also go into full automation by next fiscal year.